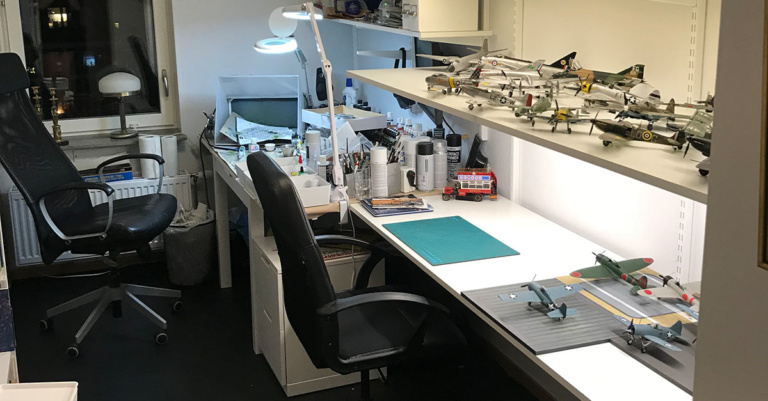 Setting up a good workspace for building plastic models can be a touchy subject. Spouses, parents and even kids might have strong opinions about clutter, smells and plain space. Some might have to do with the kitchen table and the hustle of unpacking and clearing every time. My thoughts are with you, but here we're going to suppose that you have a dedicated space. Be it in a wardrobe or in the garage. A table is kind of a basic need. Personally I have a ordinary kitchen table bought at IKEA (yes, I'm Swedish). To protect the table surface I have a loose, thick, masonite board. 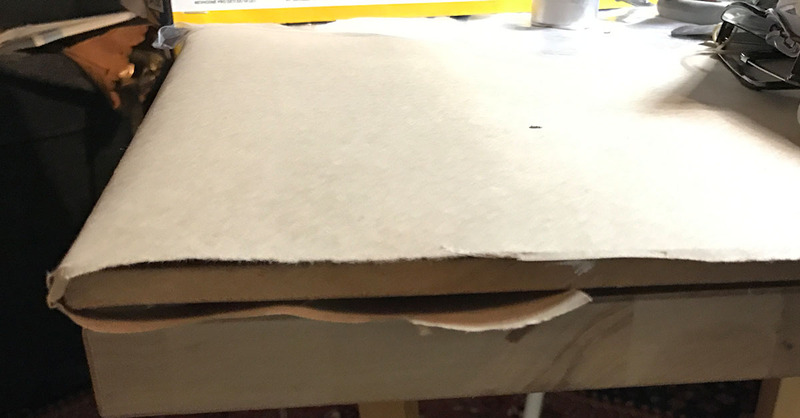 To have that board in turn survive longer I have a roll of brown paper to spill paint and glue on. That I change after a few projects. Stability is a good quality of any table but certainly of one that's going to carry small parts and paints. Also be sure to have a comfortable chair, you will be spending a lot of time in it. The floor is the place where some vital small plastic part sooner or later will end up. The 'Carpet Monster' eating small parts is a well known horror to most modeller. To counter this I've installed a black linoleum carpet. Not only does it protect the floor but it's easy to find that small part on. Boxes or drawers is also a necessary quality of a work table. As you will note in the later "Tips & tricks" this hobby requires a lot of stuff that needs storing. Not only tools, paint, glue etc. but you will probably not regret keeping a few odds and bits, left over from kits such as unused armament, cockpit details and of course decals. 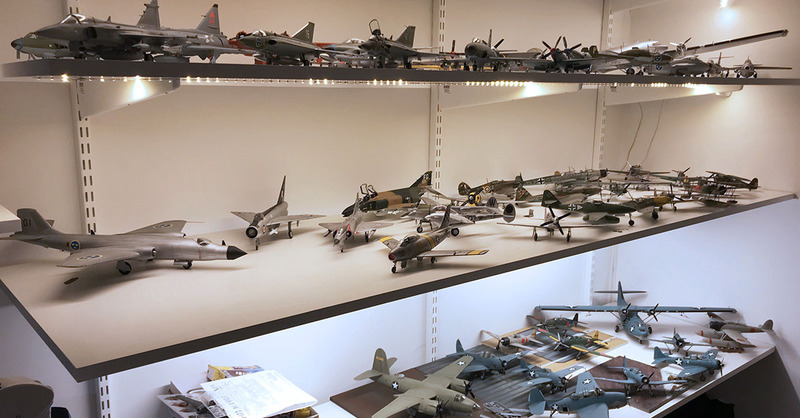 Keen modellers tends to, at least in periods, buy more models than they have time to build. It's good to have a few shelves to store the boxes in. Oh, yea, almost forgot. The products of your labour will, if you don't donate them to the local hobby shop or a museum, wanting to be put on display. Over time they will take up a non negligible space. You will soon find that you quickly run out of display areas. Not every family like to have the book cases in the dining room full of plastic kits. So plan for a lot of shelves. Handling small part and painting details needs good lighting. A reasonable general light is good but here you need (at least one) bright desk lamp. I've found that a magnifying reading lamp is perfect. 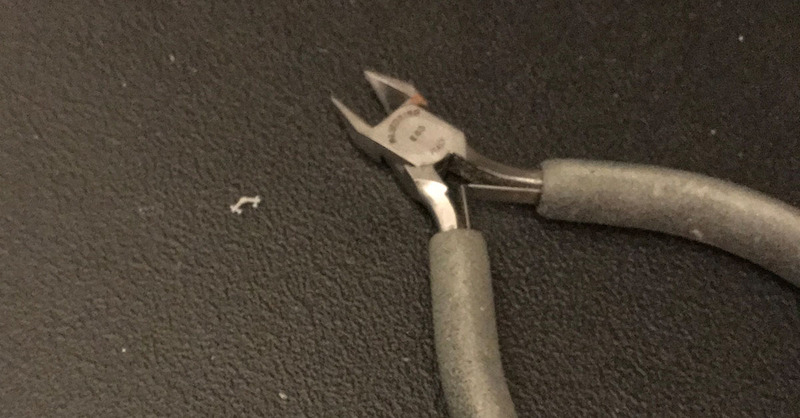 It gives a good bright light and when the parts get so small that your eyes doesn't suffice the you just pull down the lamp and use the magnifying glass. Brilliant. After a few projects you'll start to have quite a collection of paints in different colours. Keeping this in a drawer or box will probably suffice for a while but when the collection gets larger you'll soon be finding yourself trying to find a way to organize them better to be able to find the one you need faster. This is where the paint stand comes in. 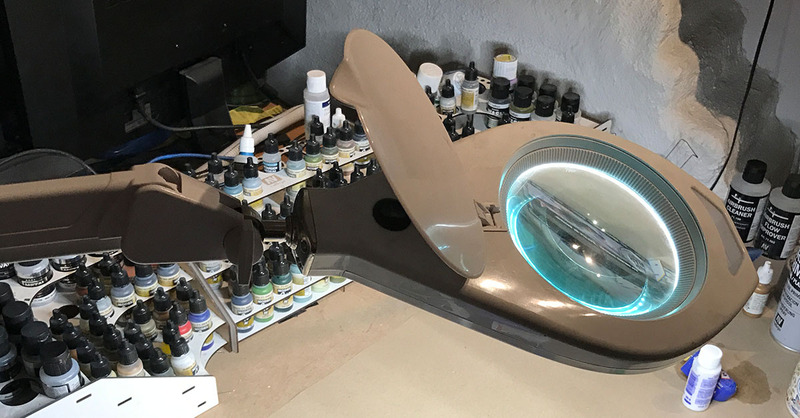 Let's spare the paint choices to the "Paint me down" article but you will probably end up with a preferred brand and I'll bet you that if you search the internet you'll find that this brand also sell some sort of paint stand suitable for their brand. Go for it, it's worth it. It saves loads of time. 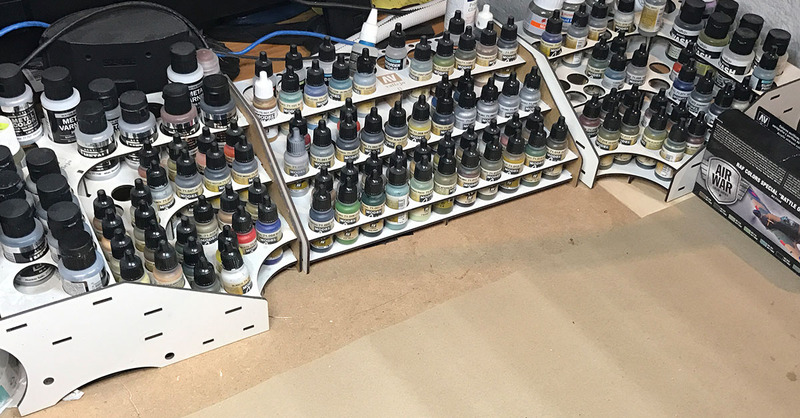 I prefer to keep my paints in numbered order. The glass you say? Well yes. 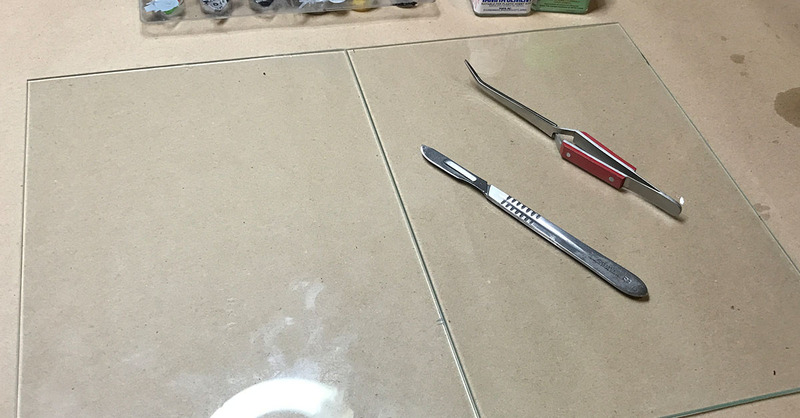 Plastic modelling involves a lot of cutting, painting, gluing and puttying. Even if you protect your surface as stated above I find that this is not enough. Some use a special cutting board when using the knife but this is just a part solution according to me. A glass pane on the table can stand almost everything except a hammer or maybe a diamond cutter. After a project you simply clean it. Using a razor blade it's simple scrape off any glue, putty and paint residue. Just dish wash it afterwards and it's as good as new and ready for the next project. Now here's the subject where I've been sinning the most. Besides opening the window I didn't have any good means to ventilate the work area. And opening the window is something you hesitate to do in mid winter Sweden. 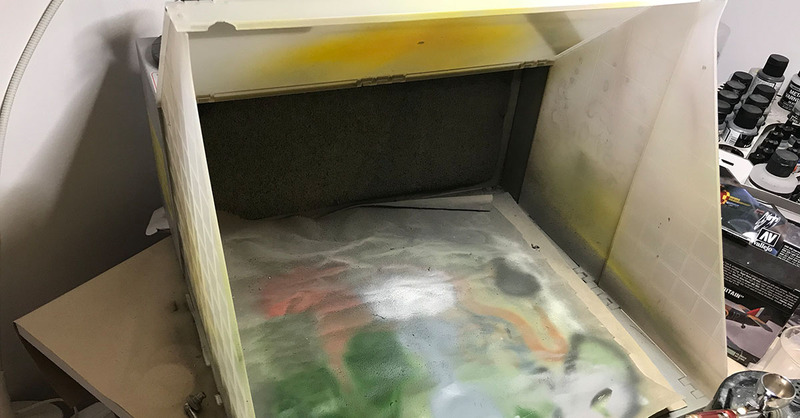 But since you'll be handling a great deal of chemicals it's really a good idea, specially when it comes to painting with an airbrush or spray cannister. Some time ago I finally invested in a small spray booth with a filter. As it relies on a filter you don't need an external outlet. As most of us can't afford the industrial sized airing cupboard or room this is the best alternative. Of course a face mask is a wise complement to this.